What a busy week! I’ve found little time this week inbetween classes and tutoring and theater. Classes have been busy – in grammar class we’ve been working on the conditionnel – I would do this, if I had known I would have done this, etc. The teacher keeps it more entertaining by playing games, like we have to write down all the new vocabulary we’ve learned on the board, and we each have to make a sentence using a vocab word. But, you have to build off of the sentence the person before you – and the stories have been very bizarre! We had a new teacher for Cinema class the week, and we are going to start learning about the history of cinema. We started off by learning about the history of the Cannes Film Festival, the 2nd most prestigious film festival in the world (there is one in Venice that is more prestigious). I’m not sure how many films we will be watching, but in any case, I have a list of all the Palme d’Or winners since the 1940s, so that will make for some good watching! Tutoring has been going well – the family is really nice and the girls’ and my personalities match well. They actually do most of the work, I’m just there to help clarify any questions they might have. Yesterday, I took a trip to Monaco with Mickey and Shawn! It was a lot of fun and a really good day trip. We started out at the Palace – they have guards and everything! 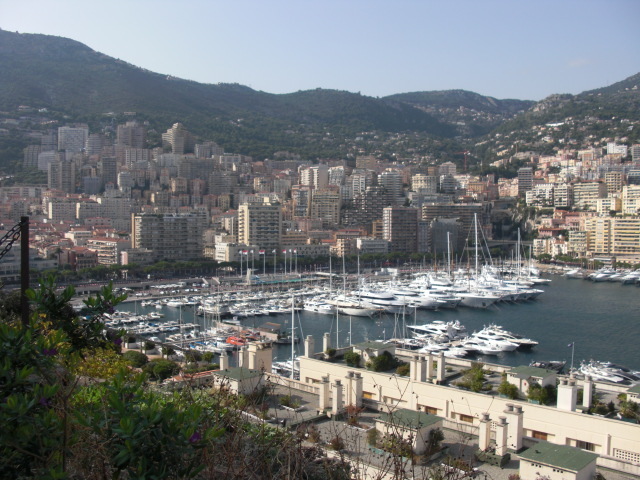 Monaco is a principality – technically they are independent, but everything is run as a part of the French government. The views were amazing. Another thing that really impressed me about Monaco is that everything is very clean and tidy – not one piece of litter, not even dirt on the pavement! 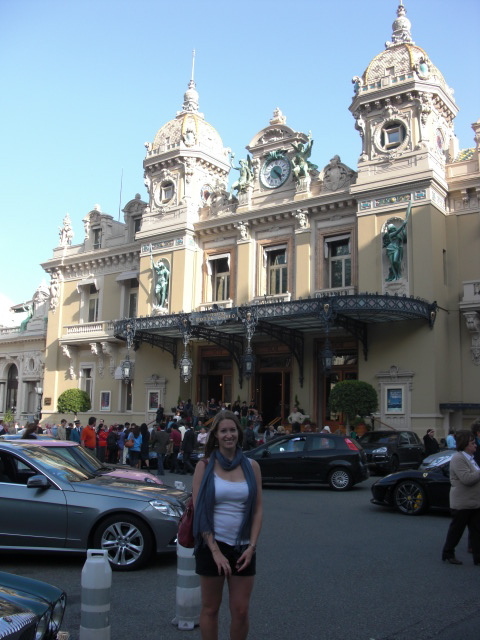 We also went to the famous casino, Monte Carlo, and saw ridiculously expensive cars – Bentley, Lamborghini, Porsche, Aston Martin, Ferrari, and Rolls Royce. There is so much money in that area – designer stores like Prada, Gucci, Louis Vitton, Valentino, and more. The most ridiculous thing I saw was a street full of Ferraris in front of a hotel and a Prada store. There were too many Ferraris to fit into one picture! We had a great dinner at a little cafe down the street from a Ferrari dealership. I had a galette italienne – a thin pancake (more like a pancake than a crepe) filled with ham, cheese, and tomato. It was really nice to eat outside of the College and have a nice day out. 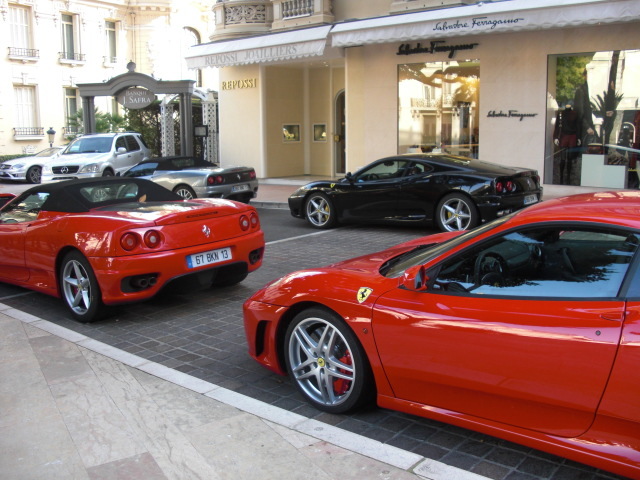 I’ll remember this day in Monaco when I’m in the villages of India…what opposite ends of the spectrum. Another exciting note – I’ve booked my tickets for Paris and London! 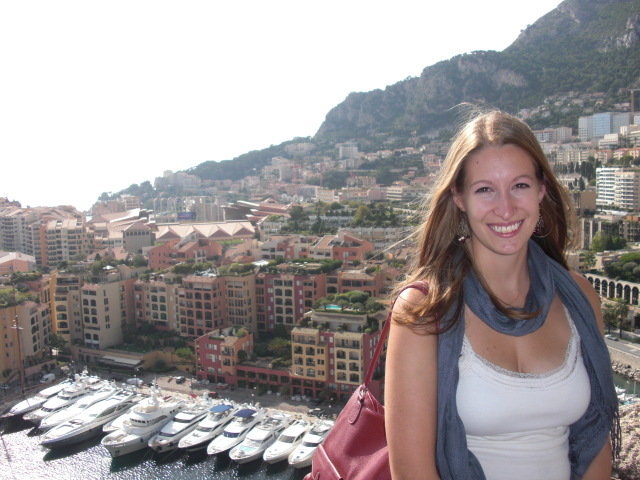 And, I’m hoping that I’ll be headed to Cinque Terre in Italy next weekend! You are having too much fun, I would have lost all my money in Monte Carlo. What a shock with the medical system there, and that is how they are use to it. Goes to say something about our healthcare system. I am so glad you are having such a great time, and able to pick up more spending money by tutoring. As always, have fun, be safe and I can not wait till your next post.